If you have witnessed or experienced an overdose, you know it can be a scene of chaos and confusion as first responders, interested bystanders, family members, and friends try to save the life of the person who has overdosed. 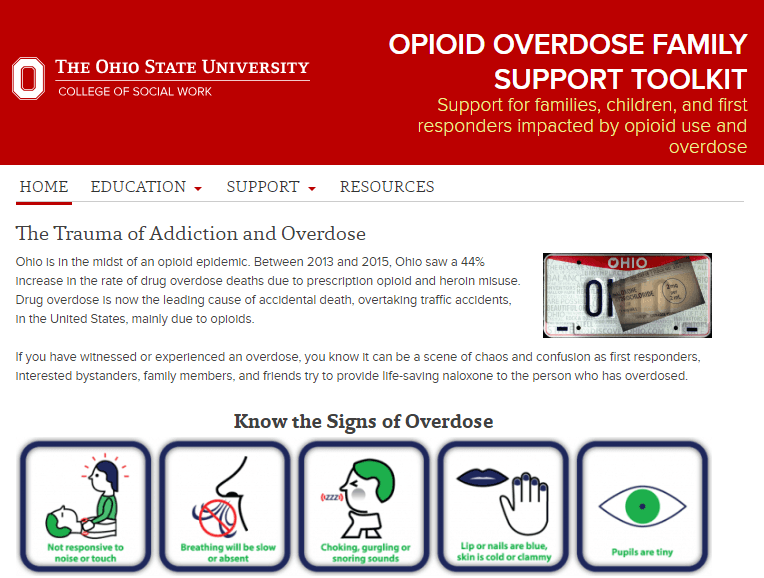 Researchers at The Ohio State University College of Social Work and College of Pharmacy have developed the Opioid Overdose Family Support Toolkit with support and resources for families, children and first responders impacted by opioid use and overdose. Posted by kranich.1 at 4:00pm July 10, 2018 Posted in Engagement, Innovation and tagged Children, Overdose, Resources, Trauma. Bookmark the permalink.